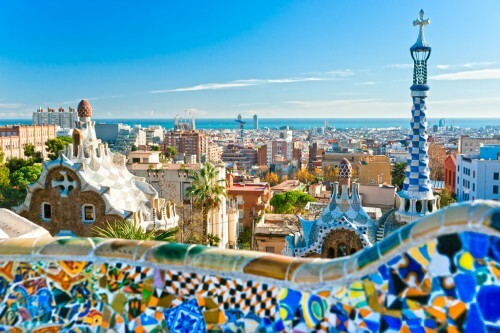 Cheap flights to Spain: Prague-Barcelona for €81! Wizz Air, Easyjet and Ryanair now offer cheap flights from Czech Republic to Spain. 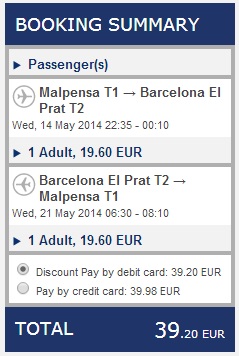 Return flights from Prague to Barcelona will cost you as low as €81 / 2235 CZK! The cheapest stays are for 8 days which may be a bit too long for most of you but there is plenty to see around Barcelona too (ideally with a car) so you can easily discover more places in one trip. There is one stopover in Milan. Cheapest travel dates are in May. 10 kg cabin luggage is included in the price, bigger luggage is extra. 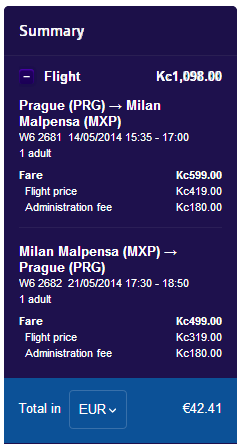 Shorter stays are also possible for higher price on the same route with stopover in Milan. You can also fly directly from Prague to Barcelona with Vueling from 3400 CZK. Book on Easyjet, Wizzair and Ryanair. There is plenty of beautiful places which can be visited only by car near Barcelona so this will give you much better flexibility. Renting a car is pretty cheap so check the rates to get best prices. « HIT! Cheap flights to Dominican Republic: Punta Cana for only €253!